These new demolitions and seizures of essential infrastructure are unacceptable: Belgium’s projects aim to meet humanitarian needs and are carried out in strict respect of international humanitarian law…..By undermining such humanitarian projects, Israel contravenes its international obligations as an occupying power. The Jubbet Al Dhib demolition comes on top of the destruction of school facilities in three other West Bank villages in the last two weeks, all donated by international bodies and NGOs. Israel loves to claim that it is the only democracy in the Middle East. It enjoys special privileges as a result of its Association status with the EU. Its citizens, including the settlers who live illegally on Palestinian land, enjoy visa free travel to the UK and EU countries – something that is not true for Palestinians unless they live in Israel proper and have Israeli passports. They are allowed to buy arms not to just for their own security, but also to maintain their illegal occupation. And yet Israel behaves like any other tyranny towards the Palestinians in the occupied territories, and it thumbs its nose at the European governments that provide aid to Palestine projects which are then destroyed. How long will the EU countries (including the UK) just carry on admonishing the Israeli government for all its illegal actions, and when will they get serious and start putting pressure on Israel to change its ways. They could start by making trade with settlements illegal and they could withdraw visa free travel for people living in settlements. Israel has suspended granting work visas to foreign charity workers delivering aid to Palestinians, according to AFP. Humanitarian organisations have noted numerous refusals or delays on the part of the Israeli government for over a year, affecting dozens of aid workers as they try to enter the country. Palestinians in the occupied territories and the besieged Gaza Strip are heavily dependent on aid, the vast majority of which is distributed by international charities crossing through Israel. Such dependency has only increased in recent months as the situation in Gaza deteriorates even further. The coastal enclave faces an energy, water and healthcare crisis prompting UN Secretary-General Antonio Guterres on his visit to the region last week to label conditions as “one of the most dramatic humanitarian crises that I’ve seen”. 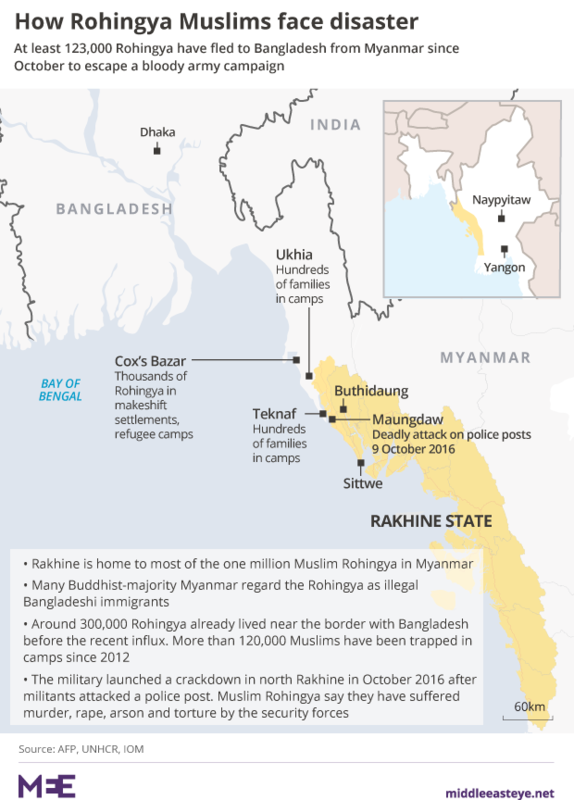 Israeli arms companies such as TAR Ideal Concepts have also been involved in training Burmese special forces who are currently in the Rakhine state where most of the violence has taken place. Images previously posted on the arms company’s website showed its staff instructing members of the Burmese special forces on combat tactics and how to use specific weapons. “Last year the British government spent over £300,000 of taxpayers’ money in training the Myanmar military and commander in chief General Min Aung Hlaing was welcomed by EU heads of military eager to engage in arms sales and training,” she added, citing figures from the Burma Campaign organisation. They live in 127 illegal settlements “recognised” by the interior ministry as “communities” and about 100 illegal “outposts”. In 2005, Israel vacated 16 settlements in Gaza under Ariel Sharon’s unilateral “disengagement” plan. Many that I have spoken to both inside Palestine and in the diaspora described this as “shameful”. “How can Abbas impose collective punishment on his own people while maintaining security cooperation with Israel?” one asked. This time his actions against Hamas may give the Americans something Israeli leaders crave: a final separation between Gaza and the West Bank. This would certainly fulfil Israeli Education Minister Naftali Bennet’s vision of a Palestinian state “only in Gaza” and the annexation of the West Bank, giving the Palestinians limited autonomy there. Palestinian Authority President Mahmoud Abbas is due to dismiss 35 Fatah members and leaders in the occupied West Bank and besieged Gaza Strip on the grounds that they criticised his actions against Gaza, a member of the Fatah Central Committee revealed today. In a statement to Al-Resalah news site, the official said that the upcoming weeks may witness an increase in cuts to the salaries of PA employees in the Gaza Strip due to the financial crisis suffered by the government. According to the official, no progress has been made in terms of the reconciliation and matters are complicated with no party being successful in moving the issue forward. 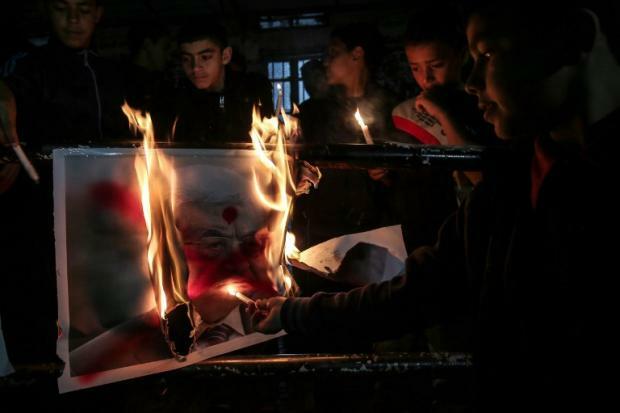 Fatah officials in Gaza have officially suspended their activities in protest against Abbas’ policies and measures including salary cuts and forced early retirement. In 2006 the Israeli assassination of Islamic Jihad leader Muhammad Dahdouh while he was driving through Gaza City also killed and injured other civilians. Maria Aman, who was travelling with her family when the missile struck Dahdouh’s car, was left paralysed, while four of her family members were also killed. There was much attention on her case when Israeli authorities attempted to terminate her treatment and revoke her temporary residence status which allowed her to receive treatment in Israel. In October 2016 Maria was granted permanent residency, while her father and brother – who are also her only carers – have to renew their temporary residence status each year. The Times of Israel has published an interview with Maria’s father, Hamdi, framing her presence in Israel as a symbol of Israel’s benevolence. If targeted assassinations were not an Israeli policy, Maria might have escaped paralysis and her family members would still be alive; that is, if they had also managed to evade being murdered or injured during Israel’s massacres on the enclave. It is easy to see how such statements, if true, are projections of fear. Within a wider framework it highlights the fragmentation of Palestinians as a direct result of the situations inflicted upon them by Israel. Had Maria remained in Gaza she would not have had access to the necessary treatment. But as a result, staying in Israel for medical treatment has had repercussions on Maria’s family whose residency status is still subject to manipulation by Israel – revoking the permits is a simple matter for the authorities. The fine line between appeasement and fear is what Israel seeks to maintain. Given the vast experiences of Palestinians as a result of Israeli colonial violence, it is becoming even more difficult for each unique situation to generate enough social support. On the surface, there are violations which – owing to their frequency – have been categorised as collective experiences. Palestinian prisoners, home demolitions, forced displacement, incarceration of Palestinian minors and torture are a few of these instances. Yet within these categories the individual Palestinian experience is not only lost but it is fraught with complications. It forces reactions bordering on the absurd which can only be understood within the context of that particular suffering. At every opportunity Israel exploits Palestinians and then blames them for being fragmented. It is not without reason that patronising statements have been quoted in the context of Maria’s situation. The chilling aspect, however, is that no amount of statements which demonstrate assimilation – imaginary or otherwise – will influence or detract from Israel’s power to use families as pawns. The luxury of choosing is not available to Palestinians. BETHLEHEM (Ma’an) — A Palestinian family was evicted from their home of 53 years in the occupied East Jerusalem neighborhood of Sheikh Jarrah early Tuesday morning, culminating a protracted legal battle by which Israeli authorities claim the property belongs to Israeli settlers. Members of the Shamasna family told Ma’an that large numbers of Israeli police officers, special units, and intelligence officers stormed the house and forcibly evacuated the family before they started to move their furniture and belongings into a truck. Many took to social media to document and denounce the evacuation, including the Palestinian Liberation Organization and Ahmad Tibi, member of the Arab Joint List coalition at Israel’s parliament, the Knesset. An Israeli court decided on Aug. 18 to suspend the eviction due to challenges submitted by the family’s lawyer, arguing that the land was not properly divided and the plot settlers were claiming was not the same one as the Shamasna home. Reports emerged on Aug. 21 that the appeal was eventually rejected by the court. The family’s lawyer announced Monday, when the home was reportedly raided by Israeli forces, that there was a warrant to delay the eviction but that it was possible that another hearing was held with the presence of the settlers only, according to Peace Now. Inside the Shamasna home after settlers take over the building. “After the Nakba, we paid rent to the Jordanian government’s Custodian of Enemy Property, and after the occupation of the West Bank in 1967, the property moved to the Custodian General of the Israeli occupation authorities, who then coerced all residents to sign a renewable yearly lease,” Muhammed Shamasna reiterated to Ma’an Tuesday morning. Israeli rights group Ir Amim has noted that Israeli settler plans have focused on taking control of the entire neighborhood and then demolishing it to establish a massive Jewish settlement, called Shimon HaTzadik — named after the tomb of the biblical figure Simeon the Just, which is believed by Jews to be located in the neighborhood. 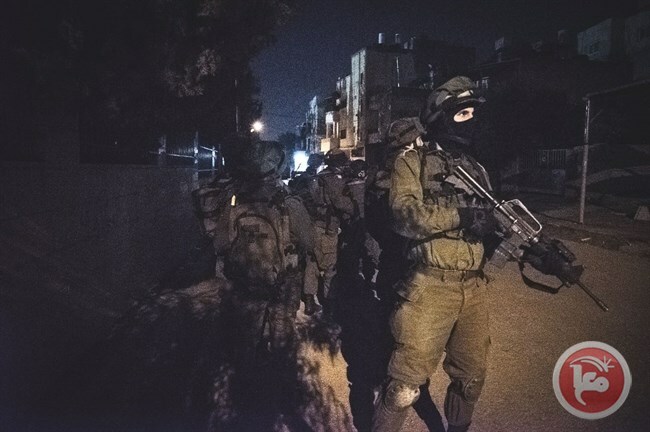 RAMALLAH (Ma’an) — The Israeli army detained at least 19 Palestinians, including at least one minor in predawn military raids across the occupied West Bank on Tuesday. Raids in the Ramallah area, which sparked clashes between locals and Israeli forces, targeted a print shop that was sealed off, as well as a center in a refugee camp dedicated to the rehabilitation of disabled people, while leaflets were scattered in the city ordering merchants not to sell toy guns. In the southern occupied West Bank district of Hebron, the Palestinian Prisoner’s Society (PPS) said in a statement that three Palestinians were detained. Jihad al-Masri was detained in the town of Dura, while Yousif Mahmoud Abu Mariya and Hasan Muhammad Zaaqiq were detained in Beit Ummar, the statement said. Locals sources clarified that Hamza Jihad al-Masri was detained in al-Surra village near Dura. 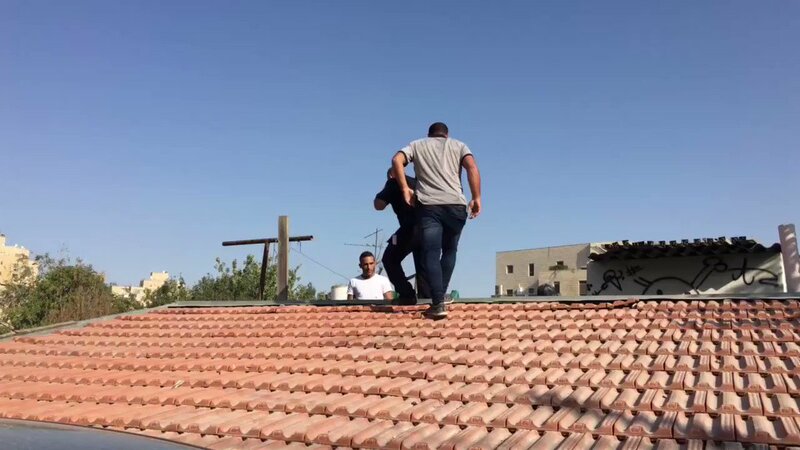 Local activist in Beit Ummar Muhammad Ayyad Awad told Ma’an that Israeli troops stormed the town’s central Bahar neighborhood and ransacked two houses, damaging their interiors, before detaining the two men and taking them both to Israel’s Gush Etzion detention center north of Beit Ummar. Awad highlighted that Abu Mariya, 39, has previously served a total of seven years in Israeli custody, and that 22-year-old Zaaqiq was a senior undergraduate at al-Quds University. An Israeli spokesperson said that a total of three Palestinians were detained in Beit Ummar. In the nearby al-Arrub refugee camp, Israeli forces also detained 31-year-old Muhammad Mahmoud Hasaniya from his house. Locals said Hasaniya is an officer in the Palestinian Authority’s national security forces. The Israeli army spokesperson confirmed one detention in al-Arrub and said another Palestinian was detained in al-Alaqa village, also in the Hebron district. Ofir Gendelman, a spokesperson for the Israeli prime minister, said on Twitter that an unidentified Palestinian security official was also detained for allegedly “inciting to kill Israelis” and expressing admiration for Adolf Hitler and Adolf Eichmann in Facebook posts. Locals also reported military raids in Hebron city’s al-Mahawir, Abu Rumman, al-Sharif, and Abu Sneina neighborhoods, where no detentions were reported. According to the PPS statement, Israeli forces raided al-Amari refugee camp in the central occupied West Bank district of Ramallah and detained 17-year-old Yahya Jibril Rummana. Locals sources said Israeli forces also raided the offices of a local committee for the rehabilitation of disabled people in al-Amari refugee camp, and that the Israeli soldiers damaged equipment there. Meanwhile, Israeli forces also scattered leaflets throughout the streets of Ramallah and al-Bireh, warning shop owners and merchants not to sell toy guns. The leaflets said that anyone who trades toy guns could be detained because toy guns serve “a dual purpose,” locals said. Separately, Israeli forces raided and shut down al-Nur printing house in Ramallah city and confiscated equipment, including computers and printers. The Israeli army alleged that the printing workshop “produced inciting materials,” and confirmed that equipment was seized from the business. The army spokesperson also confirmed one detention in al-Amari refugee camp, and added that two Palestinians were also detained in the town of Kifl Haris in the central Salfit district north of Ramallah. Following the military raids, clashes broke out in Ramallah city, al-Bireh, Umm al-Sharayit, and al-Amari between locals and Israeli soldiers who fired tear gas canisters and rubber-coated steel bullets at the protesters who hurled stones and empty bottles at the Israeli military vehicles, locals told Ma’an. The Israeli army spokesperson said they were unaware of clashes taking place in the area. PPS said that Israeli forces also detained five Palestinians in al-Fara refugee camp in the Tubas district of the northern occupied West Bank, west of the Jordan Valley. The detainees were identified as Ahmad Omar Subih, Muath Issa Allawi, Jihad Anwar Udah, Jumah Fathi al-Shafie and his brother Omar. An Israeli army spokesperson only confirmed one detention in al-Fara refugee camp. In the northern Nablus, PPS said that Israeli forces detained Yasin Abu Lafah, Mousa al-Madfa, and Qusay Hashash from Askar refugee camp. An Israeli army spokesperson confirmed three detentions were made in Nablus city but did not specify that they were carried out in the refugee camp, which is within Nablus’ municipal boundaries. 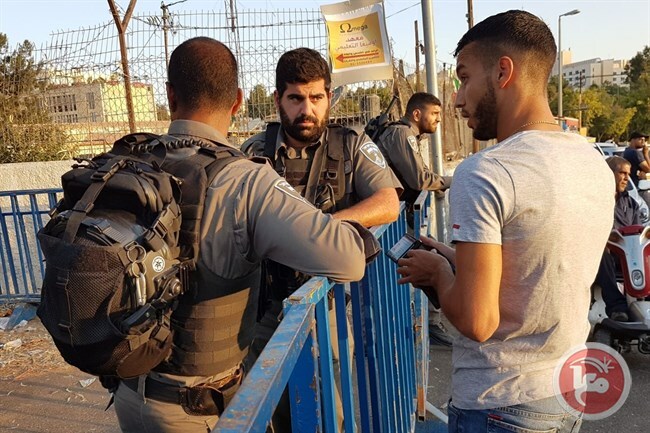 In the northernmost district of Jenin, Israeli forces detained Ahmad Yousif Malaysha and Kamal Yosuif Alawnah from the village of Jaba, according to PPS and confirmed by the Israeli army. Israeli raids into Palestinian Authority-controlled towns, villages, and refugee camps are a daily occurrence in the occupied West Bank and East Jerusalem. Since the beginning of 2017, the United Nations documented a biweekly average of 87 Israeli military search and arrest operations into the West Bank. European professors and academic institutions have urged to end cooperation with the EU-funded project over involvement of Israeli institutions known for illegal detention practices, routine torture, and violence against Palestinians. The Palestinian Federation of Unions of University Professors and Employees (PFUUPE) and the Palestinian Campaign for the Academic and Cultural Boycott of Israel (PACBI) call on European professors and academic institutions to immediately withdraw their participation from LAW TRAIN, a project aimed at unifying police interrogation methodologies while ignoring grave human rights violations. We call on Belgium’s KU Leuven University, Portugal’s INESC-ID research institute, and UK academics who sit on the project’s advisory board to immediately end their involvement in the program out of respect for international law, and Palestinian human rights. LAW TRAIN is a joint EU-funded project with the Israeli Ministry of Public Security, the Israeli National Police and Israel’s Bar Ilan University. 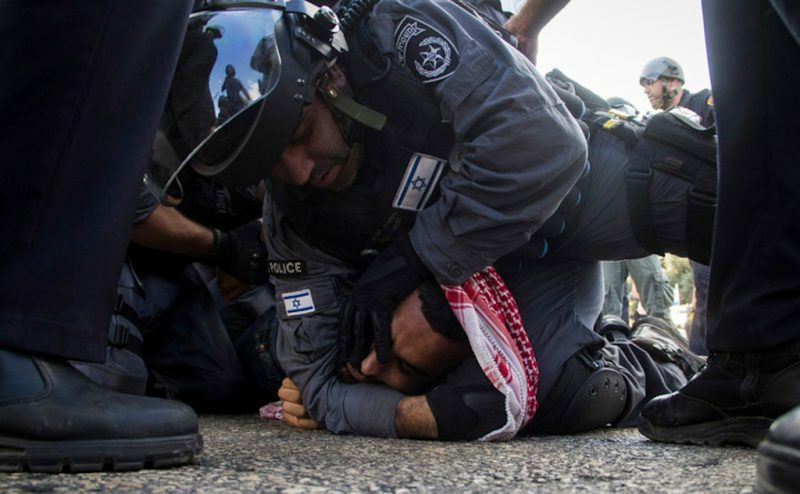 The Israeli Ministry of Public Security and the Israeli police’s illegal detention practices, routine torture, and use of violence against Palestinian protesters have been criticized by the UN and human rights organisations. It plays an active role in the illegal detention of thousands of Palestinian political prisoners in Israeli jails. The Israeli National Police, which includes the infamously brutal Border Police unit, is deeply implicated in war crimes, extrajudicial executions and illegal violent attacksagainst Palestinians, including the brutal abuse of children detainees, as documented by Human Rights Watch. The police is also responsible for fostering a culture of impunity for Jewish-Israelis who terrorize or otherwise attack Palestinian civilians. In 95% of such attacks, the police fail to charge offenders. The presence of the headquarters of the Israeli National Police on occupied Palestinian territory in East Jerusalem constitutes a serious violation of international law that amounts to war crimes. This implicates European participants in LAW TRAIN in violations of international law. It also risks violating the EU’s own policy of nonrecognition of Israeli sovereignty in the OPT and EU guidelines for participation in research programs, since the EU Commission has not been able to confirm that the project’s activities are not taking place on illegally occupied land. Bar Ilan University is deeply complicit in Israel’s oppression of Palestinians. It maintains close ties with the Shin Bet, Israel’s security services, which has been condemned by the UN Committee Against Torture for its use of torture and other illegal interrogation tactics. Cooperation with these institutions through LAW TRAIN not only disregards Palestinians human rights; it provides a green light for these torture methods to continue, and worse yet, presents them as an example to follow in Europe. We write to you after more than one thousand Palestinian political prisoners sustained a 40-day hunger strike this summer in protest of Israel’s inhumane conditions including torture, denial of medical care and routine solitary confinement, in which the Israeli National Police and Israeli Ministry of Public Security are directly involved. Israel currently imprisons around 6000 Palestinian political prisoners including 300 children, many of whom are held without trial or charge. Last August, following civil society pressure, the Portuguese government withdrew all involvement from LAW TRAIN, and we urge other European partners in the project to follow suit. We call on Belgium’s KU Leuven University, Portugal’s INESC-ID research institute, and UK academics who sit on the project’s advisory board to end their facilitation of Palestinian human rights violations by immediately withdrawing from LAW TRAIN. The Israeli prison service (IPS) has been preventing the wife of Palestinian prisoner Marwan al-Barghouthi from visiting him since last April’s “Freedom and Dignity” hunger strike. In press remarks on Monday, Fadwa al-Barghouthi said that the Red Cross had managed to obtain one permit for her visit to her husband since last April, but she was barred from seeing him after her arrival at the prison. She asserted that she waited for about 10 hours before jailers informed her that her permit was revoked and thus she could not see her husband. Fadwa expressed her belief that her supportive position towards the last hunger strike was the reason behind the Israeli decision to ban her from seeing Barghouthi, pointing out that the ban on her visits to her husband would be effective until 2019. 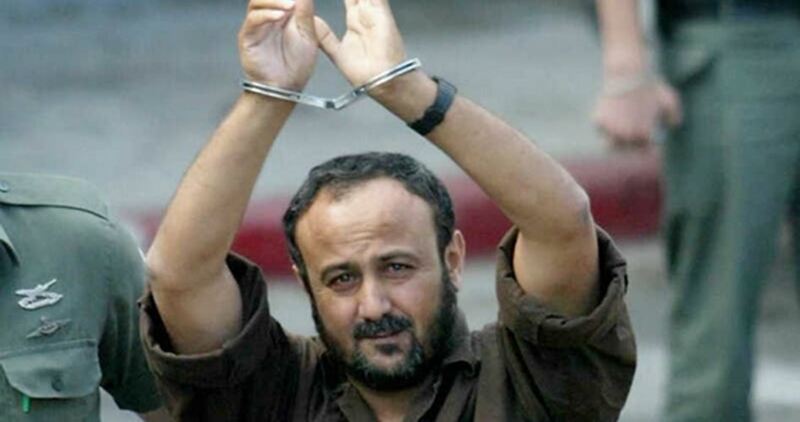 Barghouthi, a lawmaker and a member of Fatah’s central committee, has been in jail since 2002, serving five life terms and another 40 years.